It’s been nearly one year since the World Poker Tour (NSDQ:WPTE) went public after spinning off from parent company Lakes Entertainment (OTC:LACO). The once-hyped IPO opened at a disappointing $7/share after analysts questioned whether the stand-alone WPTE could achieve profitability from revenues generated solely from their televised Poker Tournaments. Fast forward to earlier this summer where shares surged past $15 after WPTE announced they would be joining the online Poker craze by launching WPTonline.com. The timing was ideal as PartyGaming (LSE:PRTY), owner of PartyPoker.com, had just went public garnering an $8 billion IPO price tag. Then poker legend Doyle Brunson added more fuel to WPTE’s roaring stock price. On July 8th, Brunson and a group of financial backers made an unsolicited bid to buy the whole company for $700 million in cash. The offer was double WPTE's closing price of $17.75. The news boosted WPTE shares by 56% the next trading day peaking at $29.50! But right away, it was apparent that something was amiss. The $700 million offer valued WPTE at $34/share. So why the big gap? WPTE released further information on July 11, stating that it had contacted Brunson to get more information and that he "suggested that WPTE should not expect any further contact regarding the offer." Shares tumbled. 1.) Online traffic at WPTonline.com continues to disappoint. A quick check at the site shows only a couple hundred players playing at any given time. Compare this to PartyPoker.com who consistently hosts well over 10,000 players daily. Keep in mind that American players are not allowed to gamble on the site with WPTE being an American company. 2.) The company does not have an auditor. They were dropped by Deloitte & Touche after the accounting firm claimed WPTE was too small and did not want to "get their arms around" the online gaming business. This seems odd considering Deloitte & Touche also audits International Game Technology (NYSE:IGT), the leading slot machine manufacturer which also recently acquired Internet-Gaming firm WagerWorks. This auditing departure comes only 2 weeks before the quarter meaning WPTE should be late in filing until finding a replacement. Every day that goes by without an announcement should pressure the stock further. 3.) Last week, WPTE surprised analysts & investors by swinging to a $0.4 million loss on $6.6 million in revenues ($0.02 per share). 4.) Massive Insider selling continues. 5.) The Doyle Brunson conspiracy. Was this a classic “pump & dump” ploy? Were WPTE insiders involved? I wouldn’t be surprised if the SEC investigated the bluffed buyout, which would not be positive PR for the company. From a business standpoint, WPTE is in decent shape as the company's licensing businesses are profitable. But from an investment standpoint, the stock is a bit of a gamble: The online business could be worth zero, in which case the stock is probably worth about half its current price. If WPTE is to justify its $250 million market cap, WPT Online must deliver. The online poker site officially launched at the end of the second quarter. Interestingly, the company accounted for zero contributions from online gaming in its third-quarter forecast, instead noting that any significant contributions may not come until toward the end of the year at the earliest. 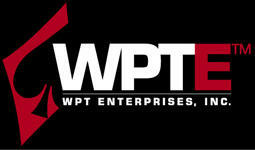 With the WPT Online hype fading and the reported loss last week, WPTE should continue to drop past $10/share. There is an auditor! A new firm came on board several weeks ago. How can you publish this article with blatantly false information? Please check your facts, at least through official press releases, before making a stock prediction. True, BUT it's just a temporary auditor to complete this quarter's filings. WPTE has yet to find a permanent replacement. Reread the PR announcement last week regarding this issue. "WPT Enterprises, Inc. WPTE announced today that on August 16, 2005, upon recommendation and approval of the Audit Committee of its Board of Directors, WPTE engaged Piercy Bowler Taylor & Kern to serve as WPTE's independent auditors." That's the PR announcement. I'm quoting it. There's nothing temporary about the auditor. Steve Lipscomb, WPTE's President and Chief Executive Officer, stated "We are very excited to be working with Piercy Bowler Taylor & Kern as our new auditors. WPTE intends to quickly move forward to file its Form 10-Q for the second quarter of 2005." From the 10-Q: "We will continue to search for a permanent replacement. We would like to thank our partners at Piercy Bowler Taylor & Kern for their immediate assistance in such a difficult and time-sensitive environment." Piercy Bowler Taylor & Kern are temporary auditors for this exact type of situation. Do you really think they were hired & signed off on the books that soon?! Check out their website & it should be obvious. A similar situation happened with KKD. At least for the shareholders, they did get an approval, but they are still searching for a permanent replacement. But so far it's been a struggle. Everywhere I have read indicates that Piercy Bowler Taylor & Kern are only temporary replacements. Is this a bad thing? Not necessarily considering they have a 2-month window before one is needed. But, it makes you wonder why it's so difficult for WPTE to find a partner. There may be more to Deloitte's departure than we initially thought. I found reading your blog interesting and well done, I do like what you have done with your site but it is not really the information I was after about make money at home . Keep up the good work and hopefully I will visit again sometime and also find the information on make money at home that I was looking for in my travels.